Why Do Young Indians Resist Yogic Sciences? 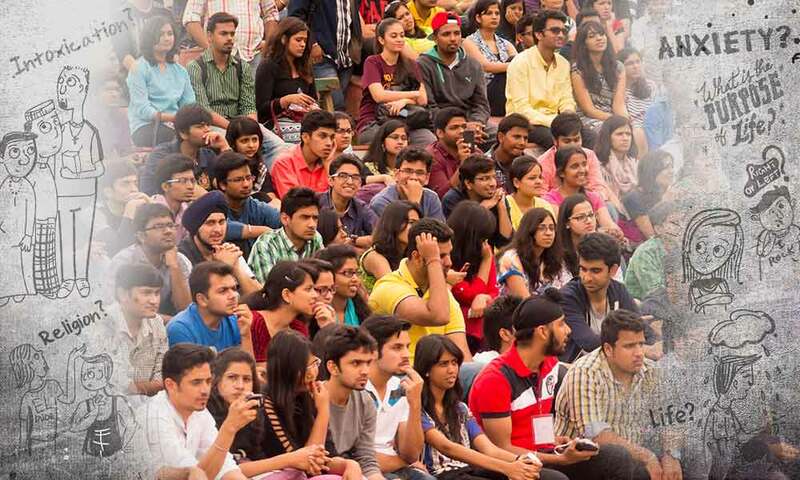 A university student pursuing sciences asks Sadhguru why Indian youth show resistance to the yogic sciences which originated in this land. Sadhguru discusses the true definition of yoga and how this science is applicable to every human being. In my first year, I used to feel very bad about it, but then I just left it. Now I have a question as to why there is such resistance in the youth about our own sciences. I mean, Indian sciences have been established by a deep understanding of everything. Why is there a resistance? And is it important that we convert this resistance into acceptance, or at least tell them not to disregard it without having explored it in its complete sense? And if so, how do we integrate inner sciences into the current education system that is in place? Sadhguru: Unfortunately, today we have a very constipated perception of what is scientific. Essentially, something is considered science if there is a systematic approach to it, and it is repeatable. Science is fundamentally physics, but there are other sciences which have evolved out of it: biological studies, psychological studies, and social sciences are there. So, anything which has a systematic approach and is applicable not just to one person, but to a larger number of people, becomes a science or a scientific approach. In that sense, there is no other science which is as largely applicable as the yogic sciences. It is just that the yoga that people have heard about today is a rebound from the American coast. They think yoga means wearing certain pants and going around. It is a kind of a fashion. No. Yoga literally means “union”. What does union mean? The very body that you carry right now, one day somebody is going to bury you or burn you. Smoking or non-smoking, whichever way will you become part of the earth? 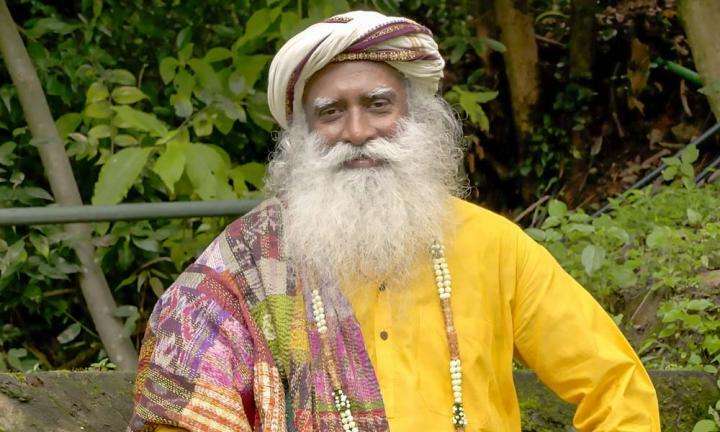 Sadhguru: Even now, you are just a small outcrop of this earth. You lost your sense only because you were given the ability to be mobile. You thought you were a world by yourself. If you were stuck like a tree, I am sure you would have understood that you are a part of the earth. Just because the planet gave you the freedom to move, how stupid you became! This is not just true with the physical body - it is so with the entire universe and with every aspect of you. There is no other science which is as largely applicable as the yogic sciences. So yoga means union, and “union” means that this is a science of how to obliterate the boundaries of your individuality so that you become a much larger life than what you are right now. Either you can live here as a constipated life or an exuberant one. Constipation means it happens little by little. Right now, for most people, life is happening little by little. If you ask them what are the great moments in their life, they say, “When I passed my examination, I felt great,” then, “I was miserable, then I found a job I felt great, but then all the people made me miserable. Then I got married, it was really wonderful, then my mother-in-law came and pshew!” Like this it goes on. They will count five great moments in their life. If every moment of your life is not an exuberant outburst of life, then it is a constipated life. If you want to live an exuberant life, the boundaries of individuality must go, to some extent. Only then, you capture a larger amount of life, and you have a larger experience of life and a higher level of exuberance than what you normally see around you. Have you blown soap bubbles when you were young? Sadhguru: Oh! Did you blow soap bubbles when you were children? Sadhguru: Suppose you got only this big of a bubble. But somebody else got a much bigger bubble. Why? You also have a lung full of air, you also have soap, but one person gets this big of a bubble. Because if you want to expand boundaries, the important thing is not the desire, but to capture that much air in that limited possibility. Then it becomes this big. Similarly, my body and your body are different. Until we are buried, we do not understand it is all the same earth. But right now, it is one hundred percent clear that this is my body, and that is your body, this is my mind and that is your mind. This cannot be that, and that cannot be this. But there is no such thing as my life and your life. There is just life. How much life you capture determines the scope and scale of your life, not how much information you capture. If this has to happen, you have to breach the concretized boundaries of your individuality and push it. When the boundaries are dissolved, then we say you are in yoga. If one experiences the dissolution, then we refer to that person as a yogi. How far each individual will go is subject to various realities, but at least we should make a scientific and focused effort as to how to breach these boundaries of individuality which we ourselves created. I live yoga, because my entire life is to constantly wipe away the boundaries within myself and within everybody else. All your boundaries are created by you, isn't it? You create the boundary, and then you suffer the boundary - what kind of life is that? If nature created the boundary and you suffer it, that is understandable. But you build walls and create your own boundary in pursuit of self-preservation. These walls of self-preservation will become walls of self-imprisonment. If you do not want that, you need yoga. “Should I twist, should I turn, should I stand on my head?” No, yoga does not mean twisting and turning. You can do yoga in whichever way - you can breathe, walk, talk, read, sleep or stand and do yoga. There is no specific activity. It is a certain dimension. People keep asking me, “Sadhguru, how many hours of yogasanas do you do?” I say, “Twenty seconds!” Actually, it is true. I do only twenty seconds of sadhana. I wake up in the morning, just twenty seconds and I am done. Then do I not do yoga for the rest of the day? No! I live yoga, because my entire life is to constantly wipe away the boundaries within myself and within everybody else. This is yoga. What we are doing here right now is yoga. Casual Relationships Minus Emotions - How Do They Affect You? 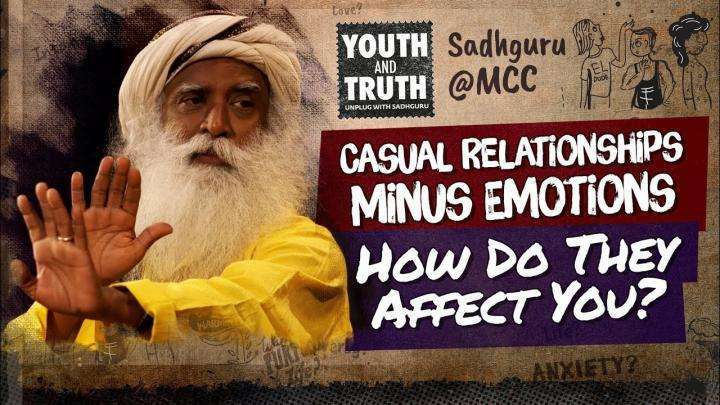 Sadhguru answers a question on whether and how casual relationships without emotional involvement can affect us. 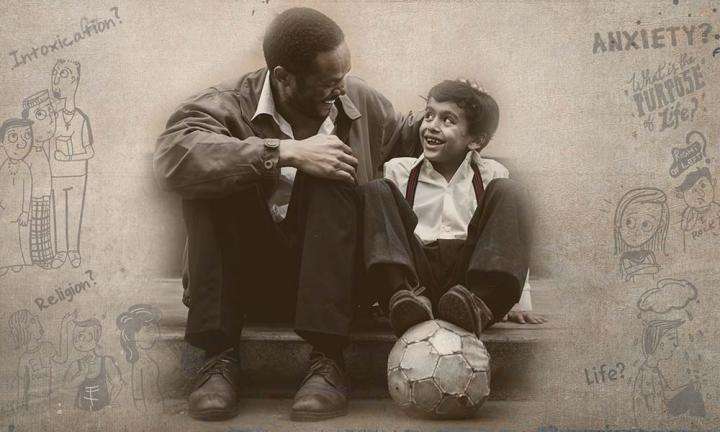 How Should Our Parents Influence Our Lives? Does Karma Conflict with Inclusiveness?